Antrim County housing options range from small town to lakeside living. For people who like the idea of walking to the grocery store or post office, strolling neighborhood streets for some fresh air and striking up friendships with neighbors next door, Antrim County has a half dozen small towns to consider. The county’s largest town is Elk Rapids, where the Elk River and Lake Michigan meet. Other small towns—Alden, Central Lake, Bellaire, Ellsworth—sit along the Chain of Lakes, a 75-mile-long waterway, allowing instant access to lakes and rivers. Bellaire is home to the county’s largest employer, Shanty Creek Resorts. Affordable housing options can be found in Antrim’s small towns. Antrim County has 24 miles of Lake Michigan shoreline, and homeowners are drawn to live along the water’s edge, giving ringside seats to the powerful nature show that happens daily over the big water. Though housing on the Great Lake shore is among the region’s most expensive, it has also proven to be good investment for those with adequate resources. With hundreds of miles of shore on inland lakes and rivers, Antrim offers many options for settling in on these quiet waters. 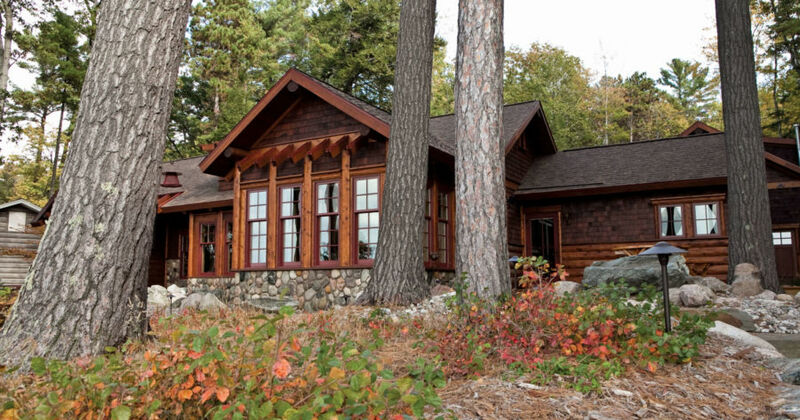 Waterfront property on the highest profile vacation lakes like Torch Lake and Elk Lake can be at the high end of the real estate scale, but smaller lakes and river front can offer more affordable possibilities. Moving into the rolling hills of Antrim means tapping into a broad array of housing options, from farmstead properties with 80 acres and barns to 3-bedroom ranches on a half-acre along a quiet road. The prices vary accordingly, and good options are available for many income brackets.